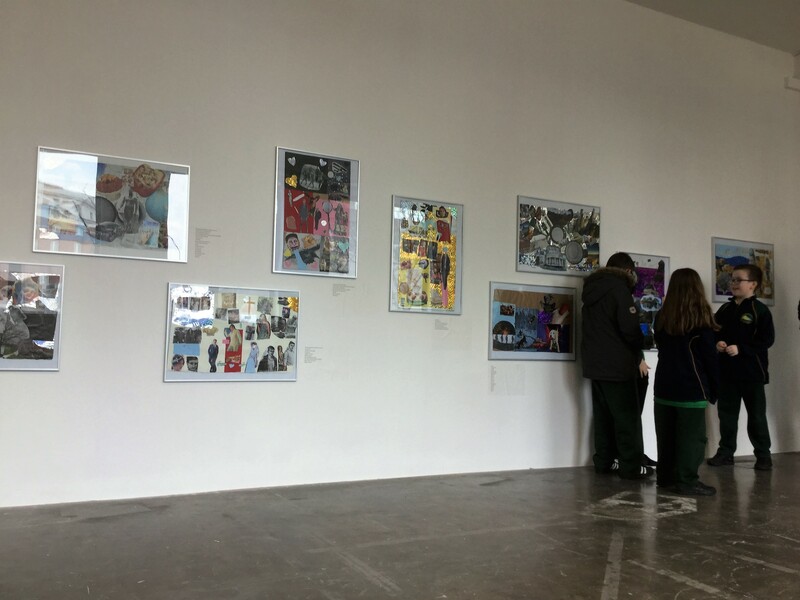 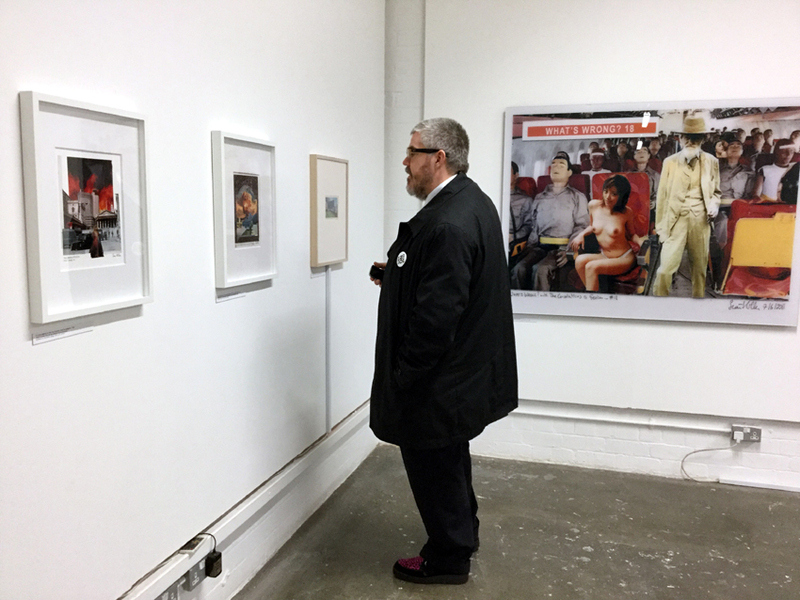 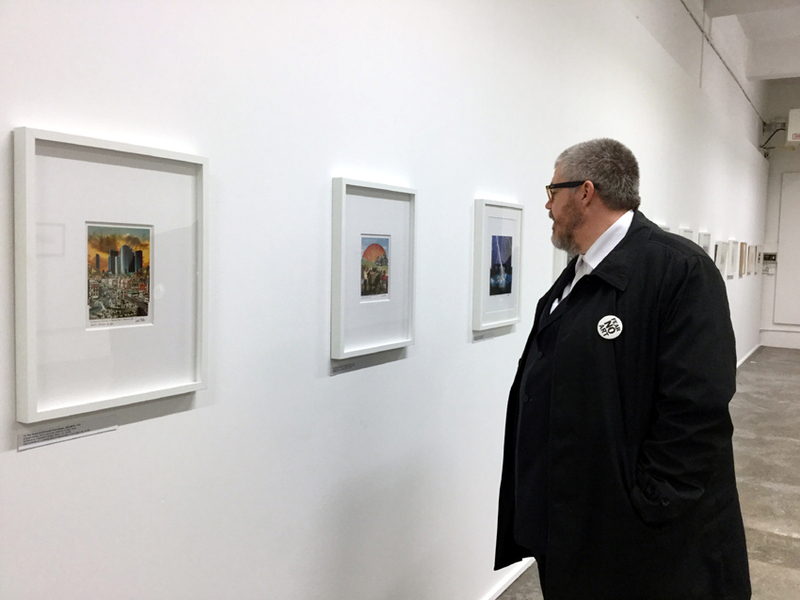 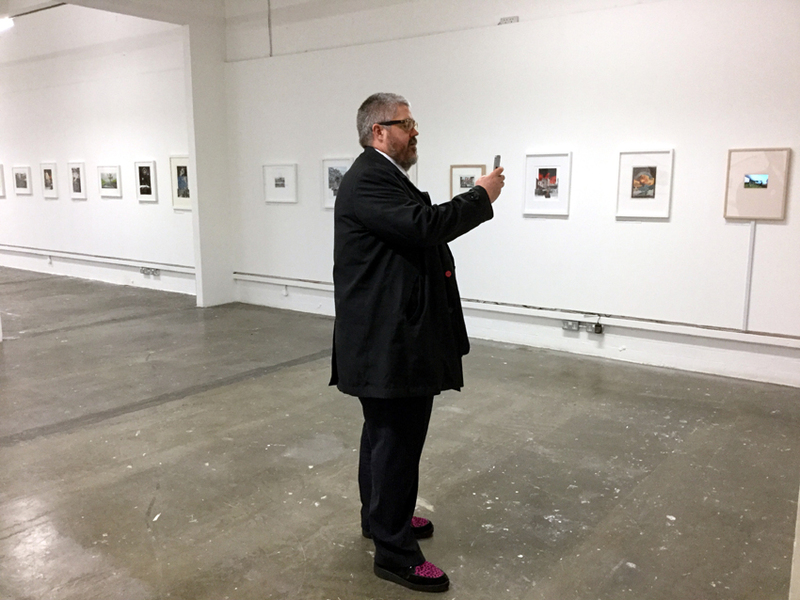 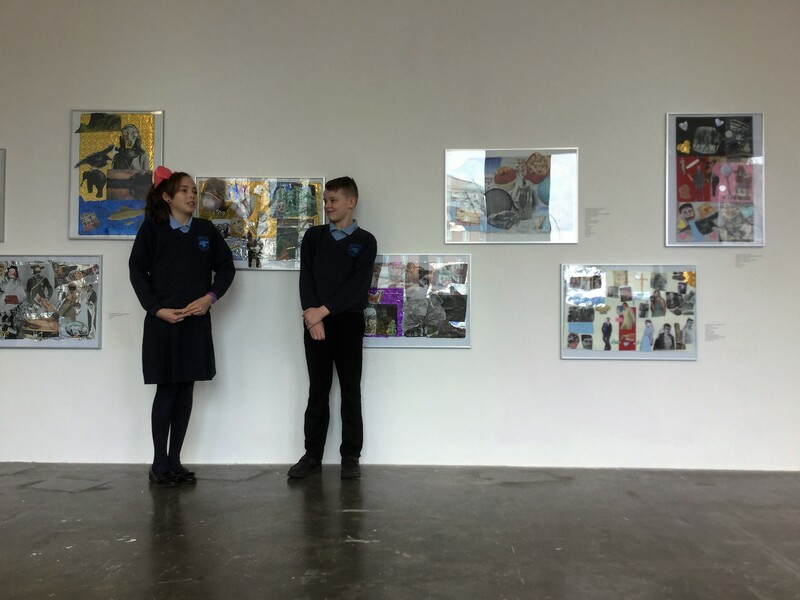 The Great Art Quest exhibition has been out on tour visiting our local libraries, brightening the wall with words and images as part of an ongoing partnership between Golden Thread Gallery and Libraries NI. 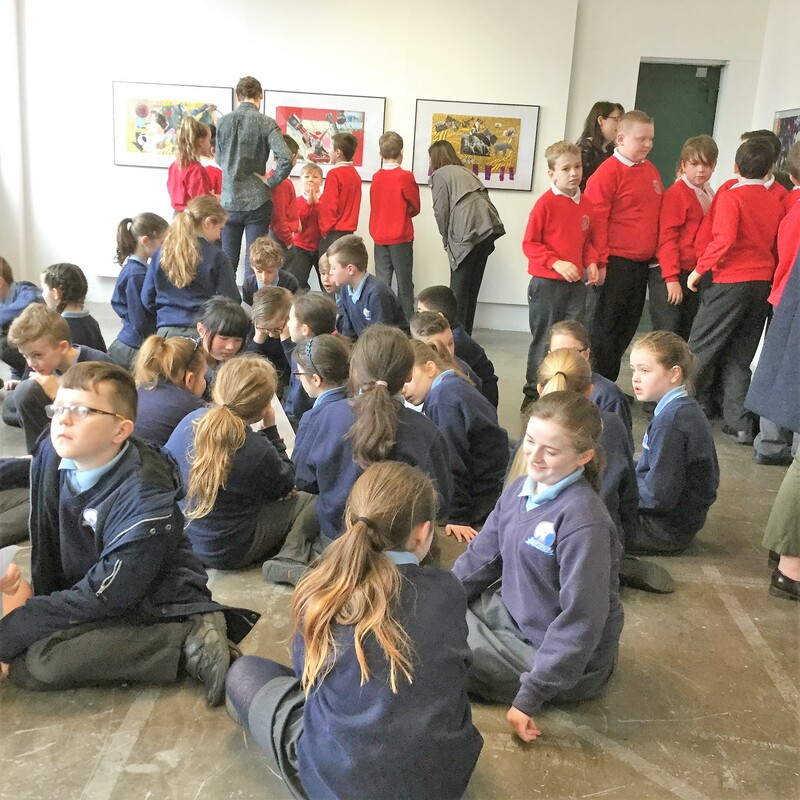 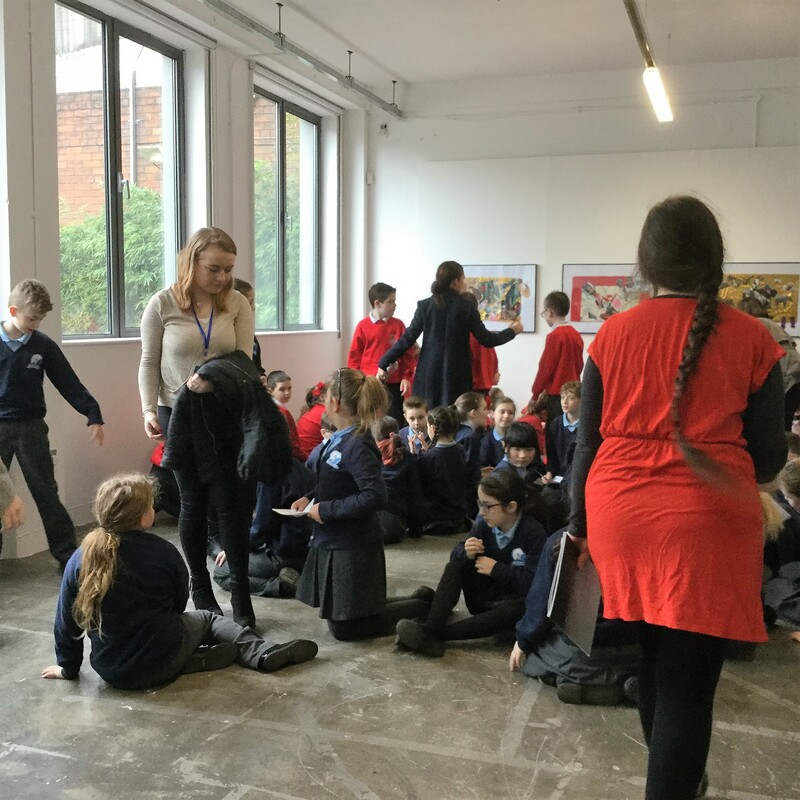 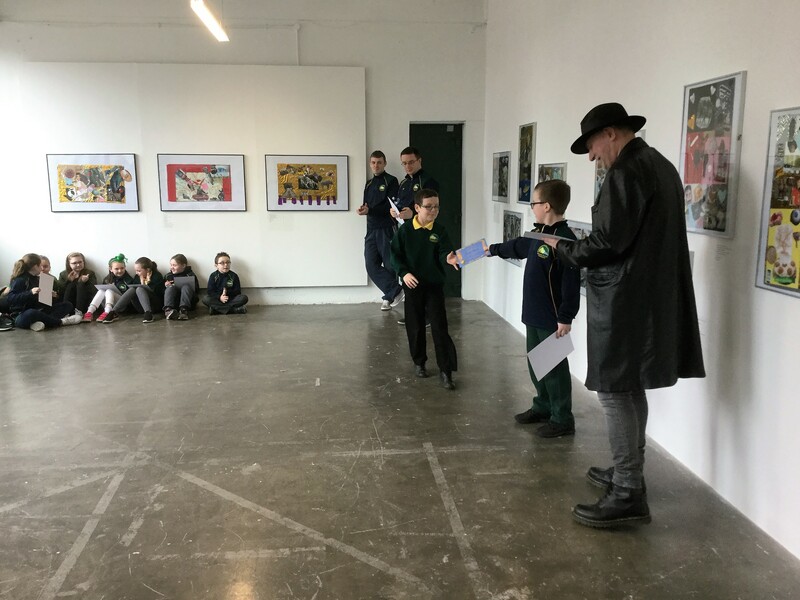 Children from four local primary schools participated in the Great Art Quest and took inspiration from Seán Hillen’s exhibition 100 Works. 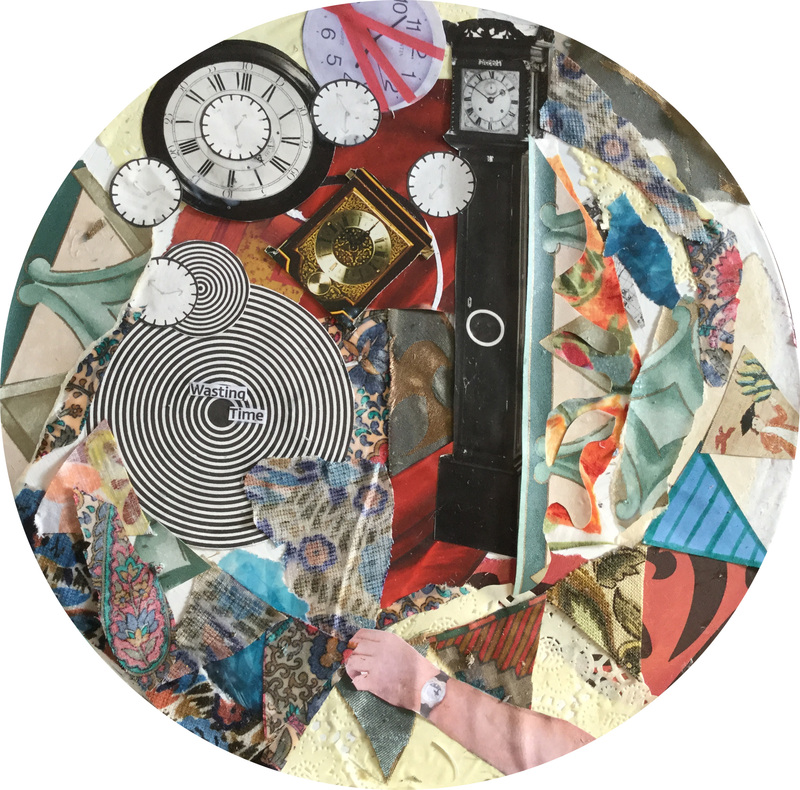 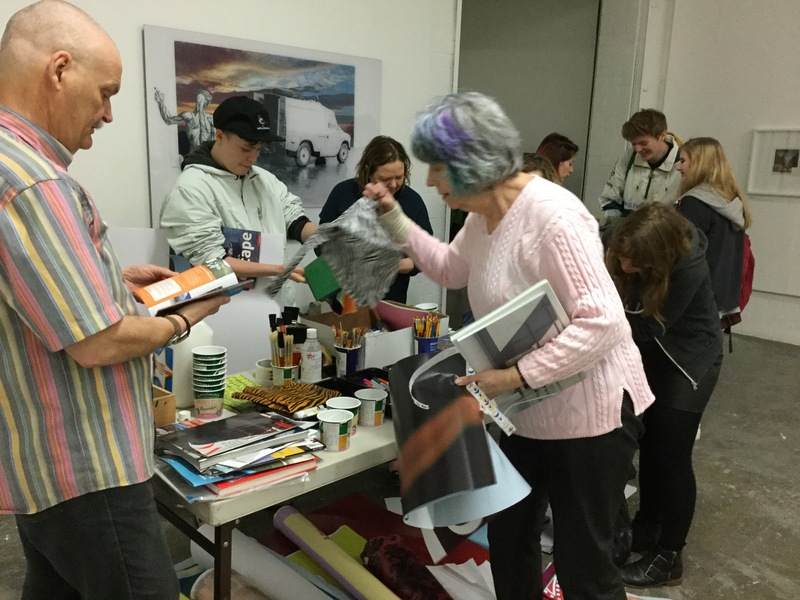 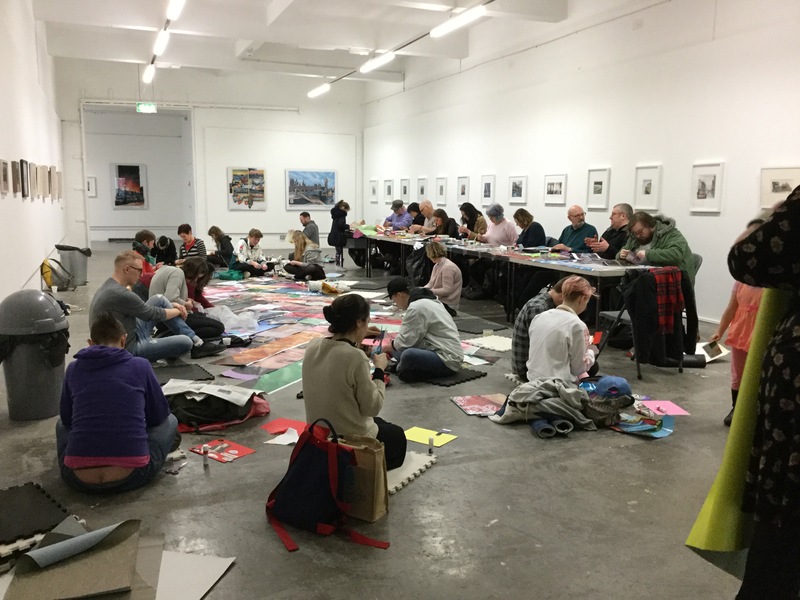 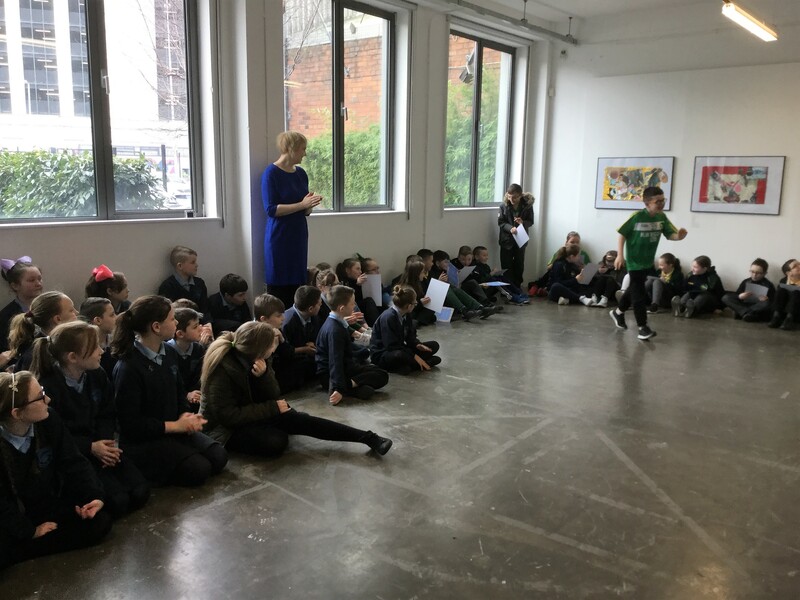 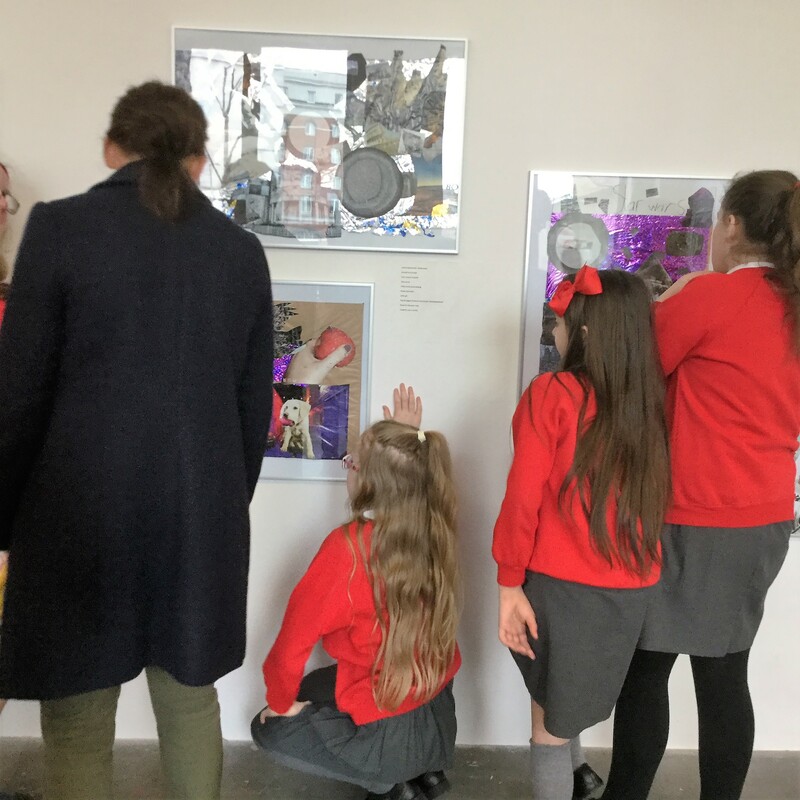 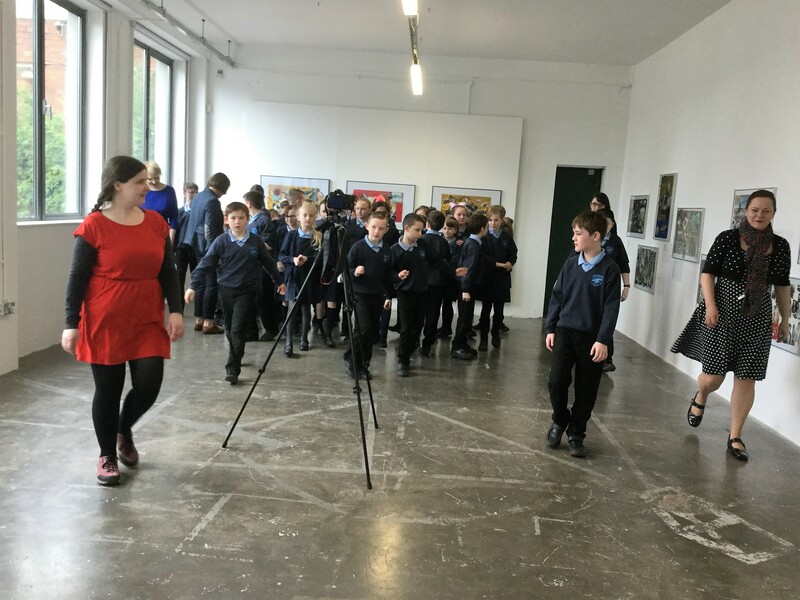 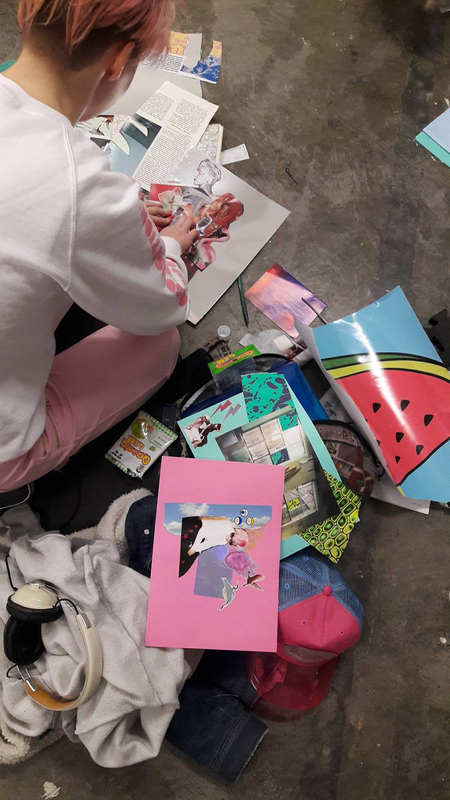 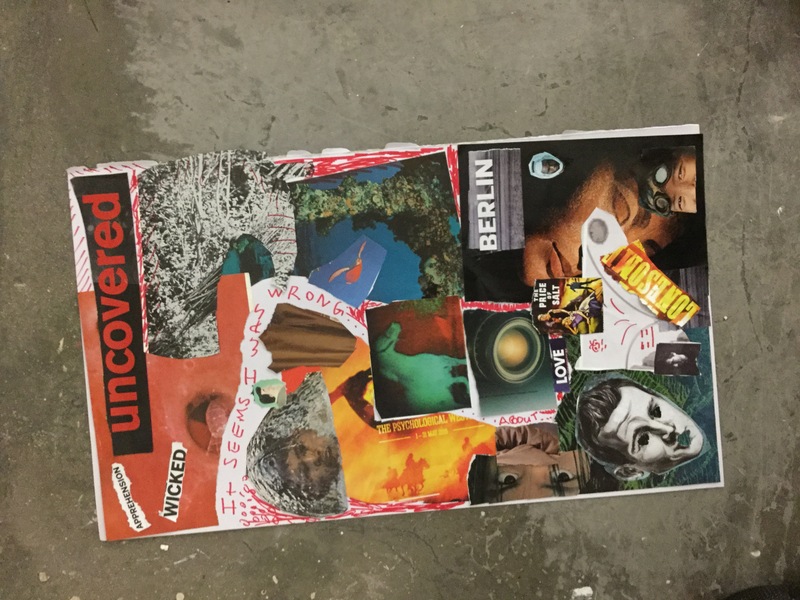 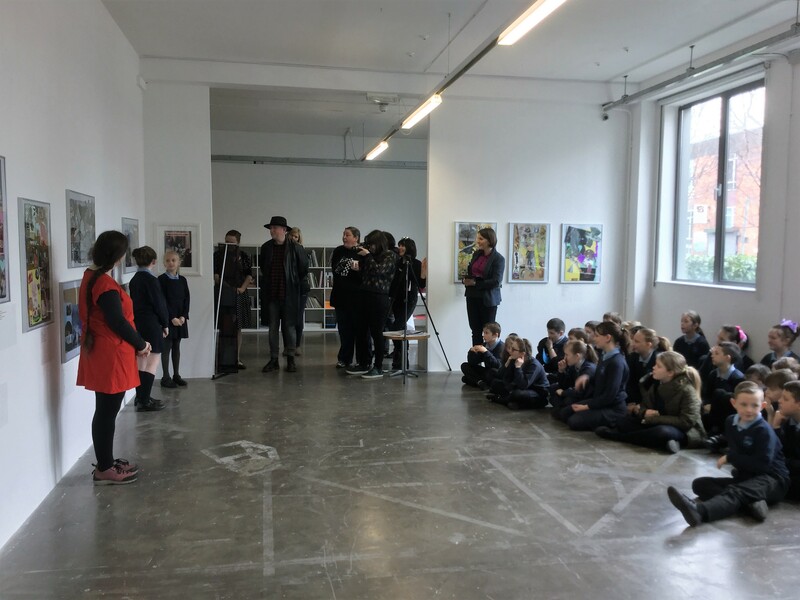 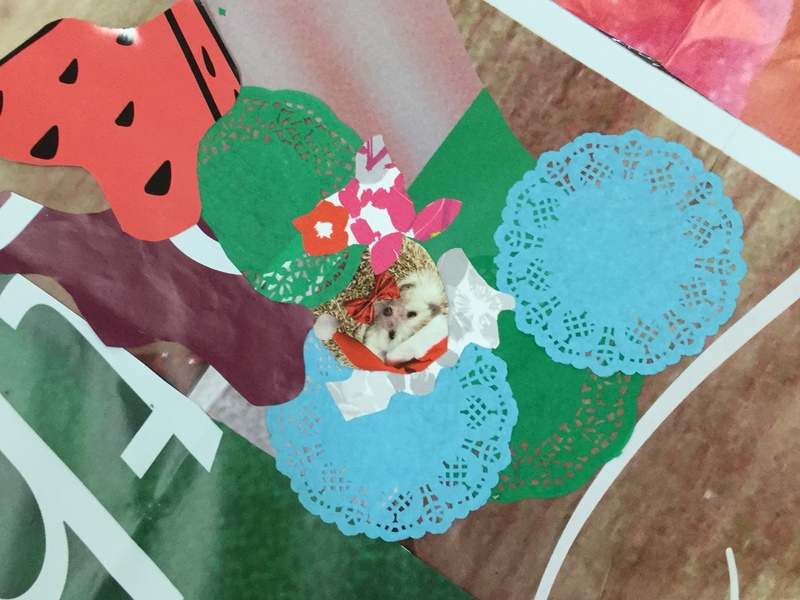 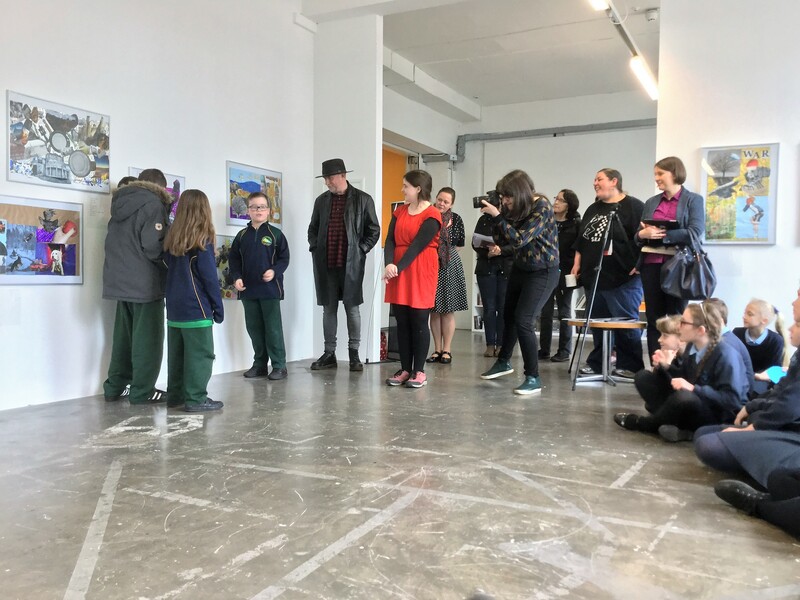 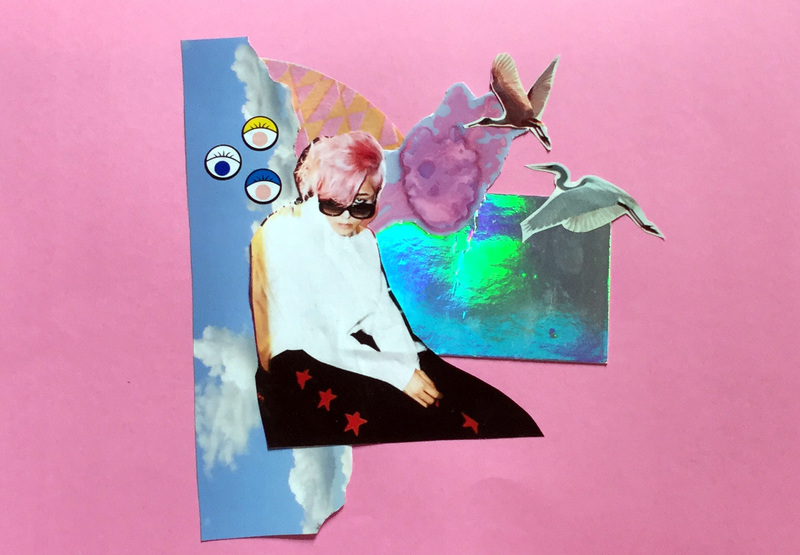 The schoolchildren explored the world of collage with artists Johanna Leech and Sinéad Breathnach Cashell while Chelley McLear and Chloé Morrison set the words and stories free with collection of Dadaist poems inspired by the collages. 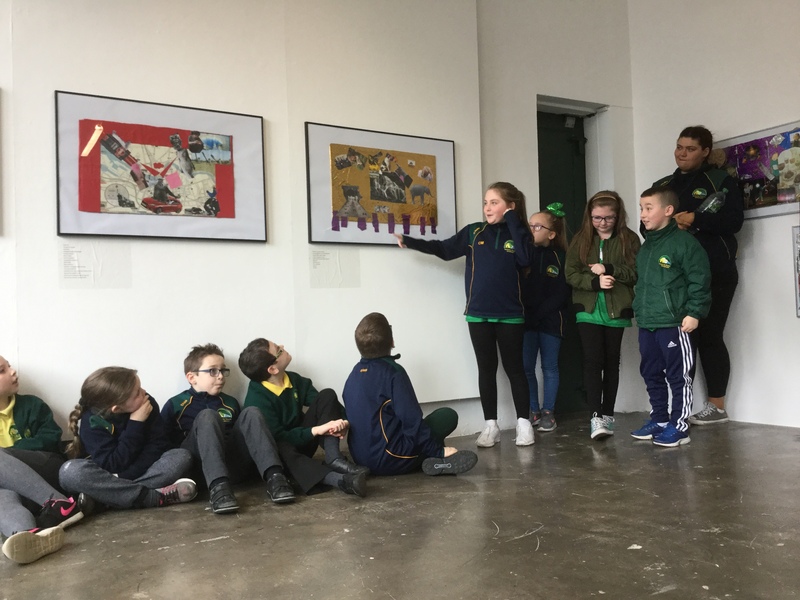 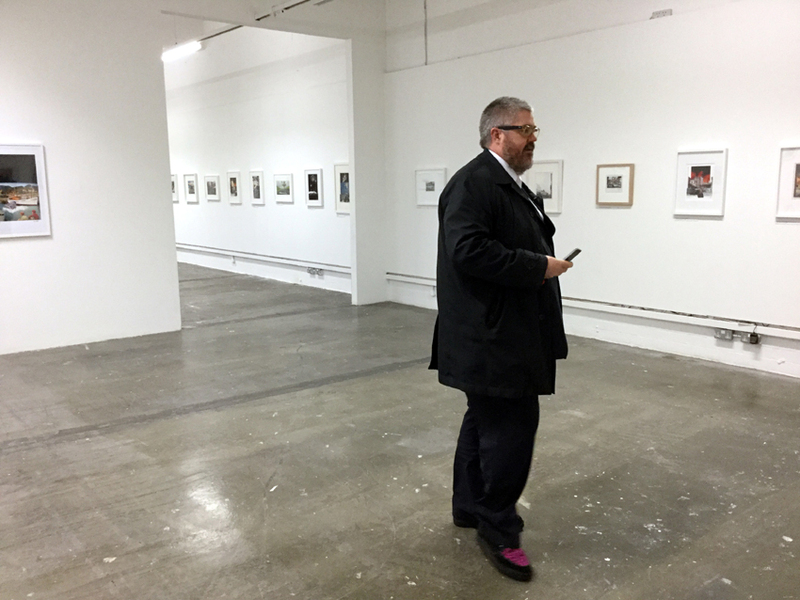 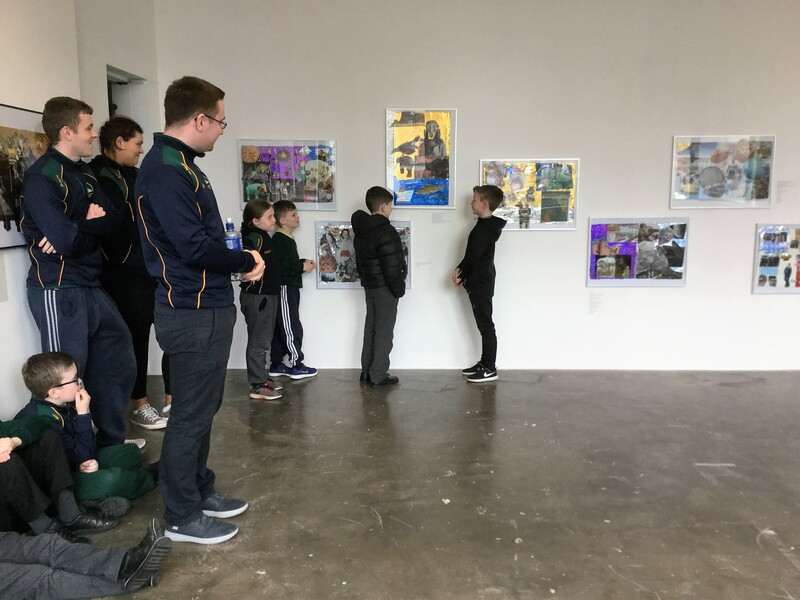 Students from Bunscoil Bheann Mhadagáian, Glengormley Integrated Primary School, Hazelwood Integrated Primary School and Holy Family Primary School will have their exhibition opened by Gregory McCartney from visual art and poetry magazine Abridged. 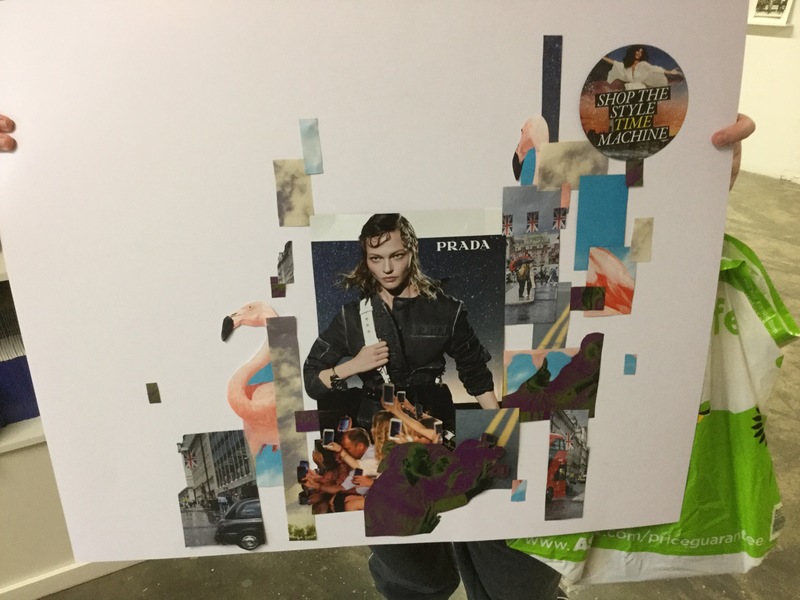 Each collage was created in a group and there were 5 groups from the 4 participating schools. 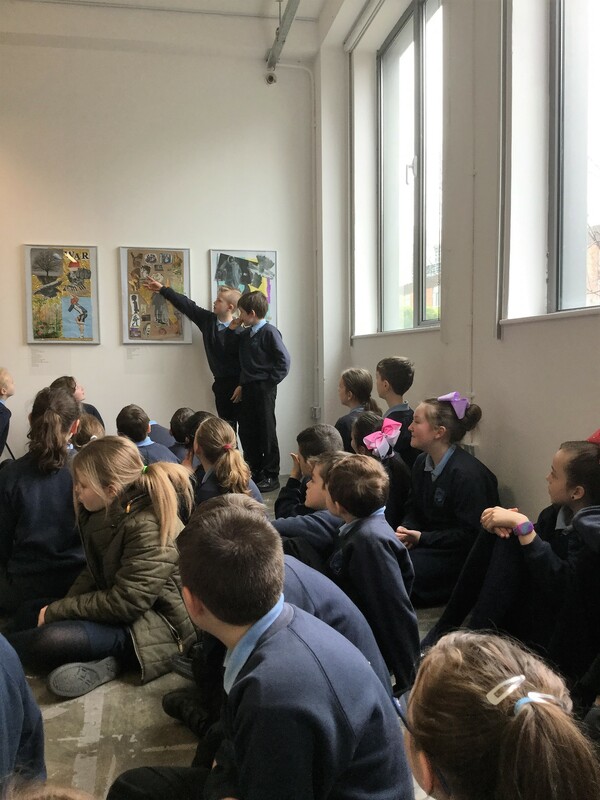 The collages were then exchanged between the schools and narrative stories were developed by the children in response to the collages. 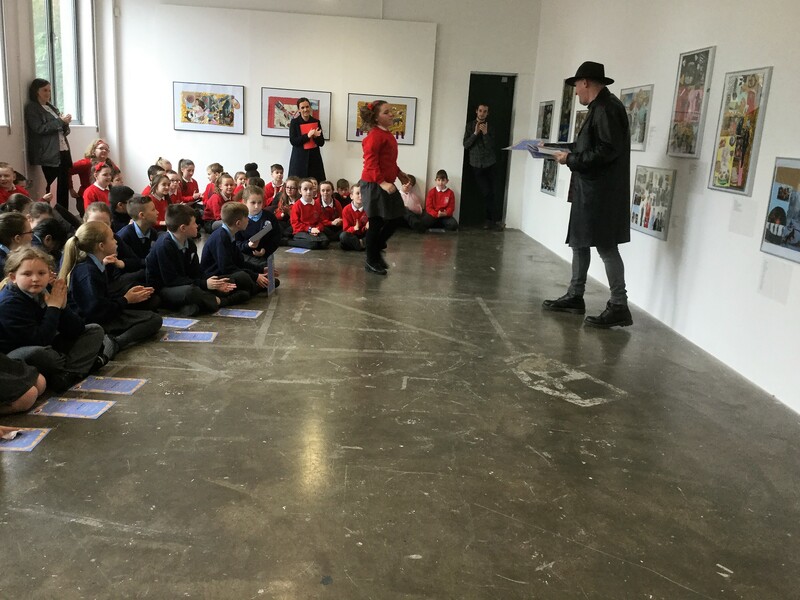 The stories were then distilled into poems. 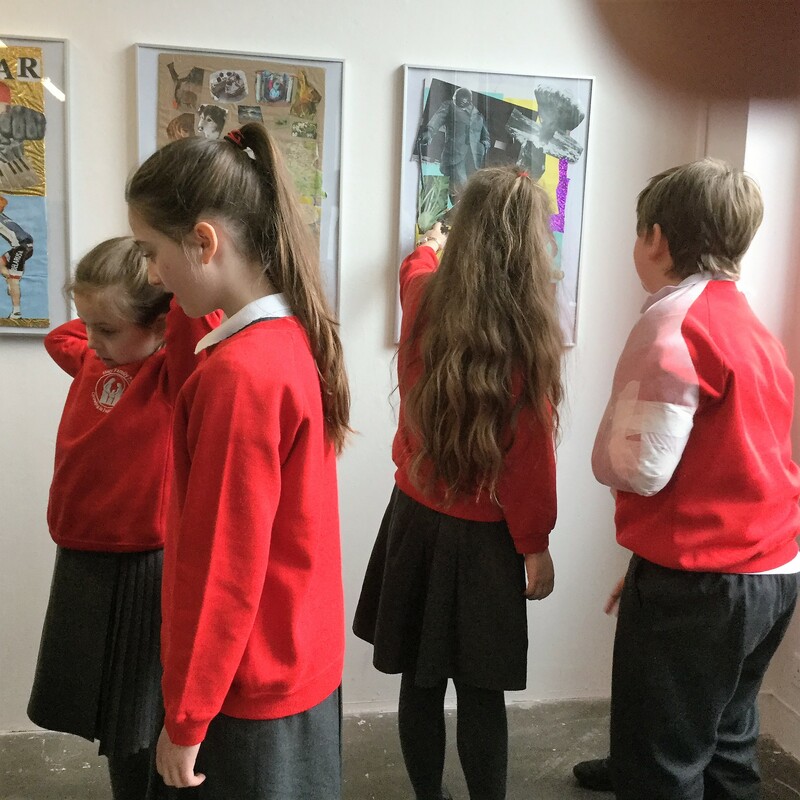 If you would like to see more of our exhibitions why not pay us a visit. 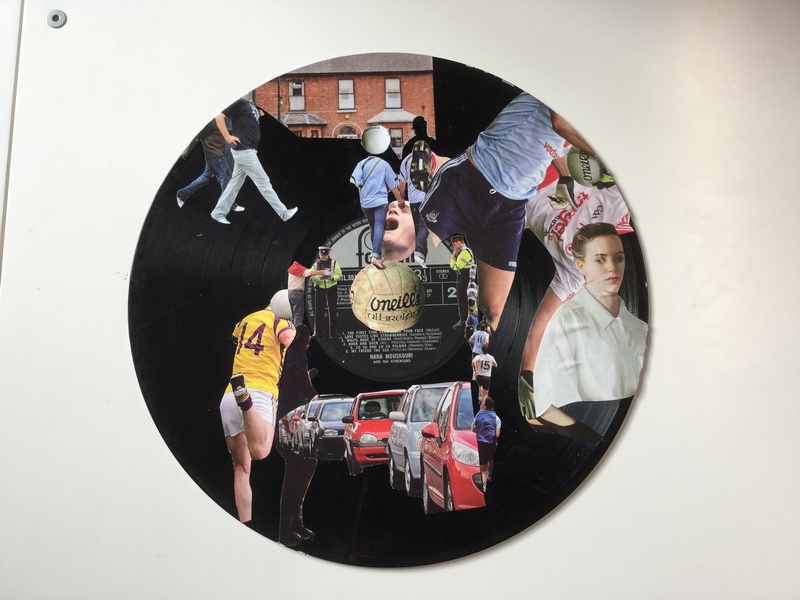 Check out our website for our full programme of events www.goldenthreadgallery. 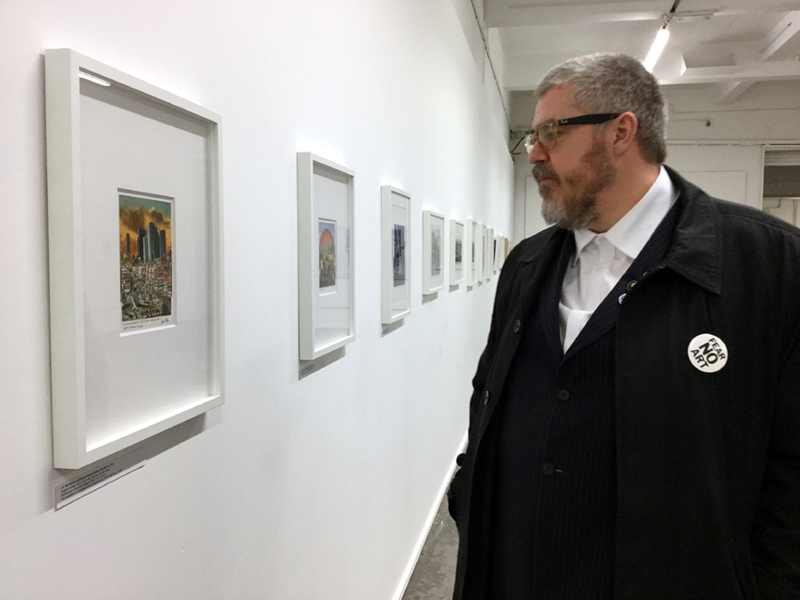 The fat pigeon farted on the people. 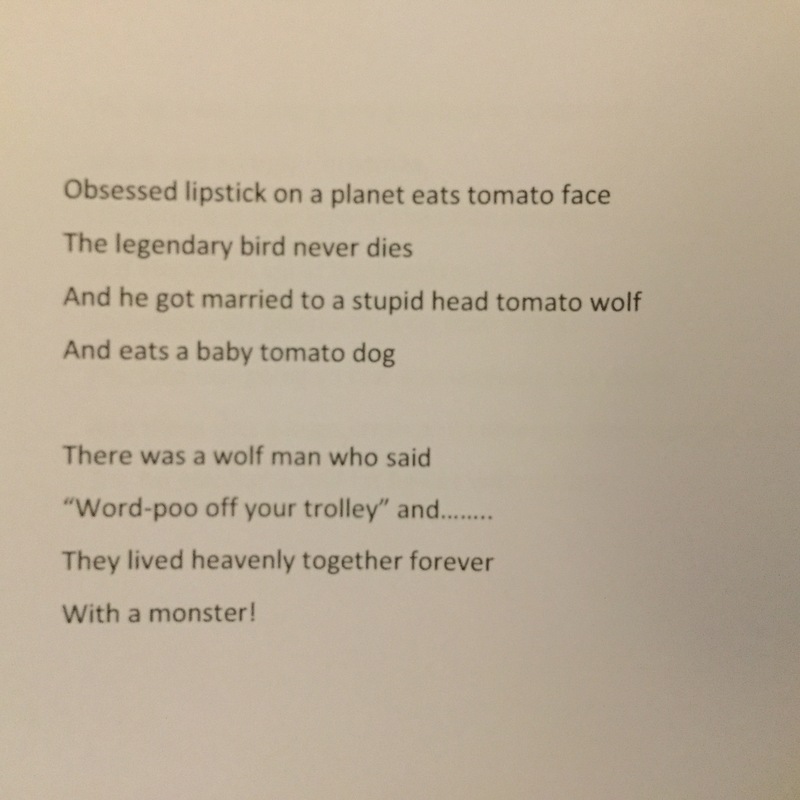 Grave for the poor man.